The Pregnant Husband: 28w1d: Is the Baby here yet? 28w1d: Is the Baby here yet? Still can't believe how fast time is flying. We celebrated our 28 weeks yesterday and today is the first full day into the beginning of the 3rd trimester. Definitely trecking new territory here. And enjoying every day of it even though it is moving way way way too fast. I am starting to realize what people mean about how they would love to keep their kids little forever. Ours is not here yet and we see how that makes a whole lot of sense. Last night on the plane back from our Baby Moon in Vegas, Baby G was kicking up a storm. 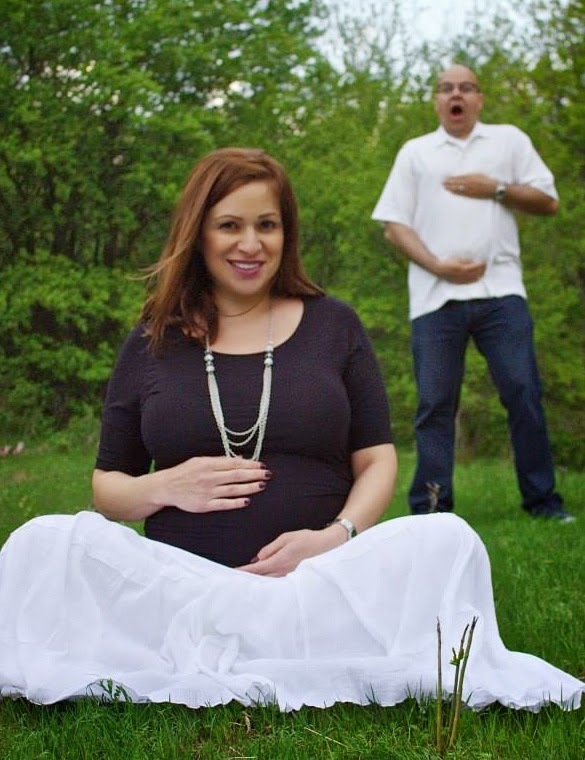 I even saw his movements through wife's maternity blouse. Either he was telling us that he's had enough of all the traveling or he was jumping of joy that mom was finally relaxed from her time in the spa this week. Well, off I go to pack yet again as I've gotta go to the airport shortly as it's house hunting time now in SoCal.